Wisbech Ladies have booked a final date at the Olympic Hockey Park. 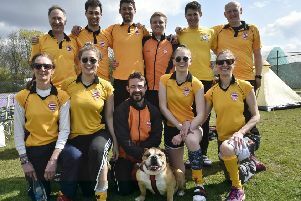 They will contest the final of the Ladies Over 35s Masters Shield against Barnes on April 30 after beating Hertford 3-0 in their semi-final yesterday (March 12). Wisbech were the better side from the off and took a deserved lead on 10 minutes through Laura Overland. Overland struck again from a short corner soon afterwards and, although the second-half was more even, Tania White converted a penalty flick to complete the scoring. Goalkeeper Lorraine Wallis played well to ensure a third clean sheet in the competition. White and Erika Harvey were named joing players of the match.